Lets explore this idea of happiness and authentic self a little further. One of the favorite theories of psychology and basically of how humans work, is Maslow's Hierarchy of needs. See more here http://www.simplypsychology.org/maslow.html. This theory is based on the idea that there are certain things that humans must obtain in order to reach their ultimate goals in life. The hierarchy starts with saying that humans above anything else, have to have their physiological needs met; they need to have air to breathe and food and water, those essentials to human life. 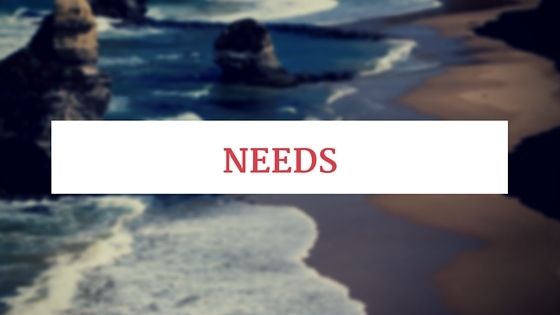 Without having these basic needs met, humans are not able to move on in the hierarchy and they may struggle in some, or all aspects of life. The next level on the hierarchy comes from the notion of safety. If humans have their basic needs met the next step is to feel safe and secure in their situations. This includes your home, your resources, your health. If a human has met this stage they can move on to the next level which is love and belonging. When your life feels safe and you have the basic needs for survival met, then you will address the human desires of feeling like you belong and you have relationships with people you love. Family dynamics and friendships are able to flourish when all else has been provided. The next step is the self-esteem step. Self-esteem definitely stems from the way you feel about yourself and when the relationships, that we've gained in the previous step, are healthy and loving, we are able to feel that confidence and and respect for ourselves that will, in-turn lead to respect for others. In this stage it is where you truly learn to love yourself. Self-love may not come easy at first, but it is definitely a crucial part of moving up to the ultimate and final stage of the hierarchy which is self-actualization. Not all people make it to this stage of the hierarchy in their lives. This stage is reaching that place in life where you are able to be creative, to have a lack of prejudice, you are able to problem solve easily, and have a true understanding of what it is that makes you happy and how to get it. So what does Maslow's theory have to do with relationship goals. Well, it helps to show that relationships are a huge part of what makes a human, a human. The hierarchy does not only show the importance of the relationships we have with other people, but it also shows the importance of our relationship we have with ourself, with our homes, our resources, and our environment. Setting goals and working to accomplish them, is one way to move through the hierarchy and reach your full potential.